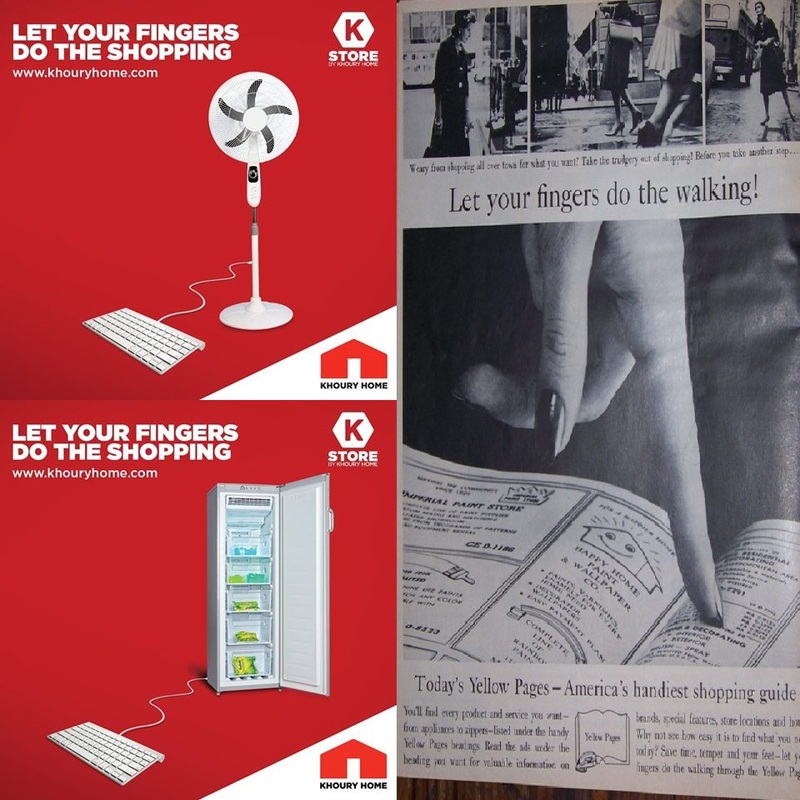 Khoury Home has recently launched a campaign for their K Store online, the line is "let your fingers do the shopping" - that the line is exceptionally close to Yellow Pages "let your fingers do the walking" is a little worrisome. There are a gazillion lines Khoury Home could have picked, going so close to the Yellow Pages territory was an unforced error. 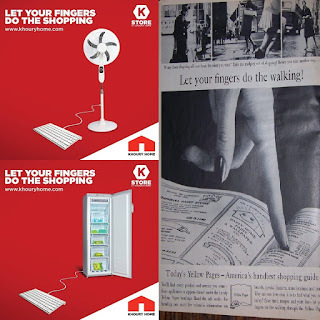 Sometimes I wonder if anyone who does these ads actually thinks whether the public at large has brains, culture and memory, most of the time I think they either think we do not - or simply do not care.